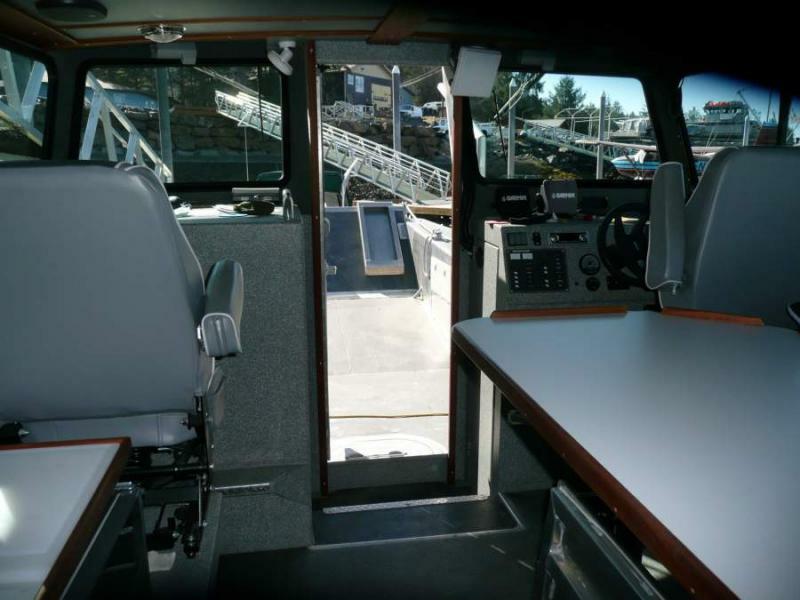 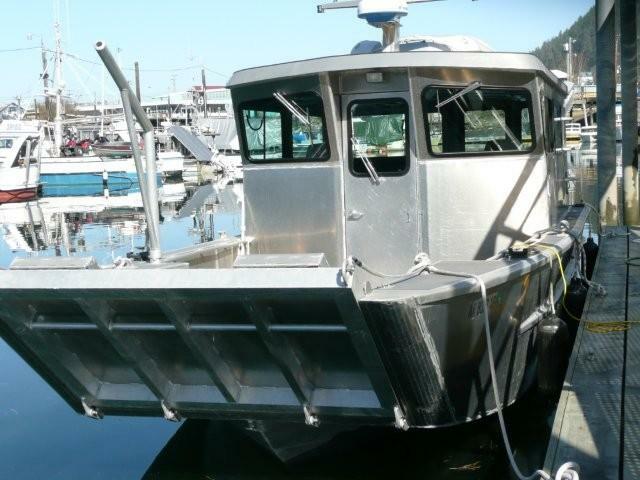 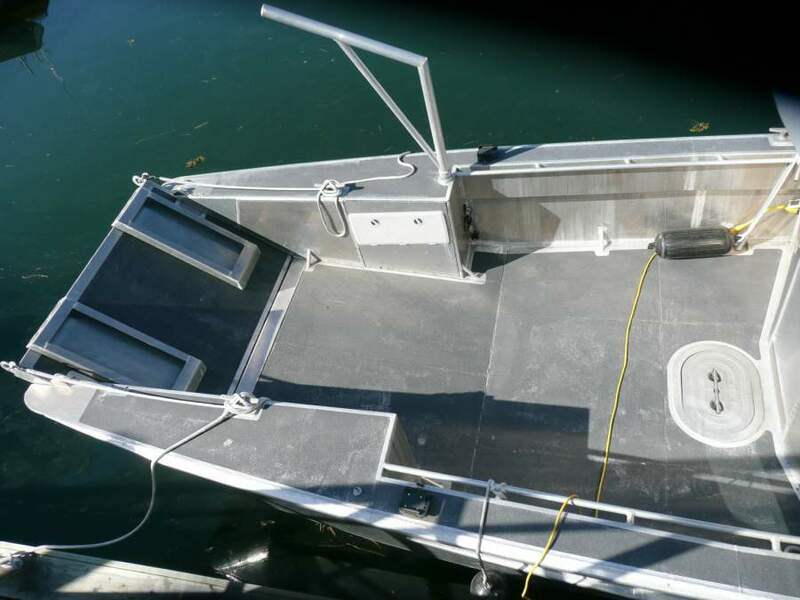 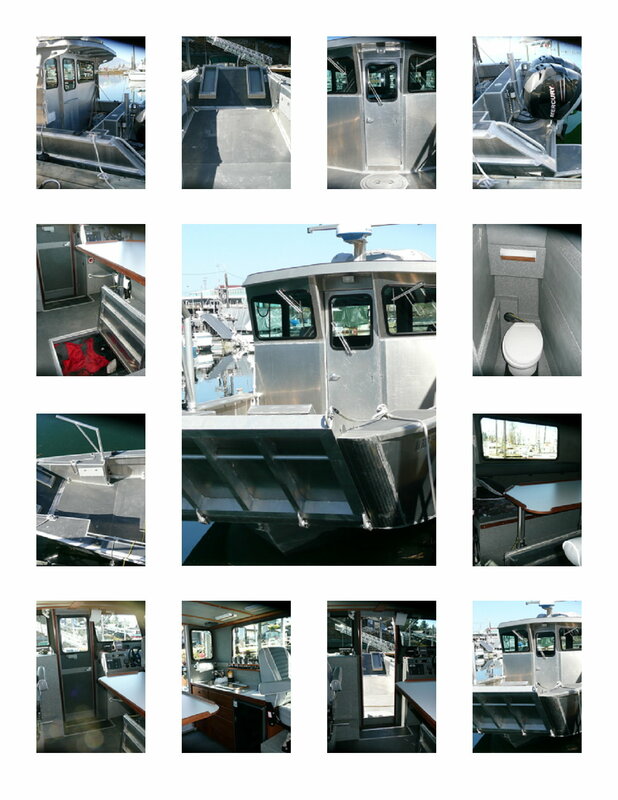 This 34' x 11'6" Landing Craft is used recreationally to travel in total comfort with 360-degree visability. 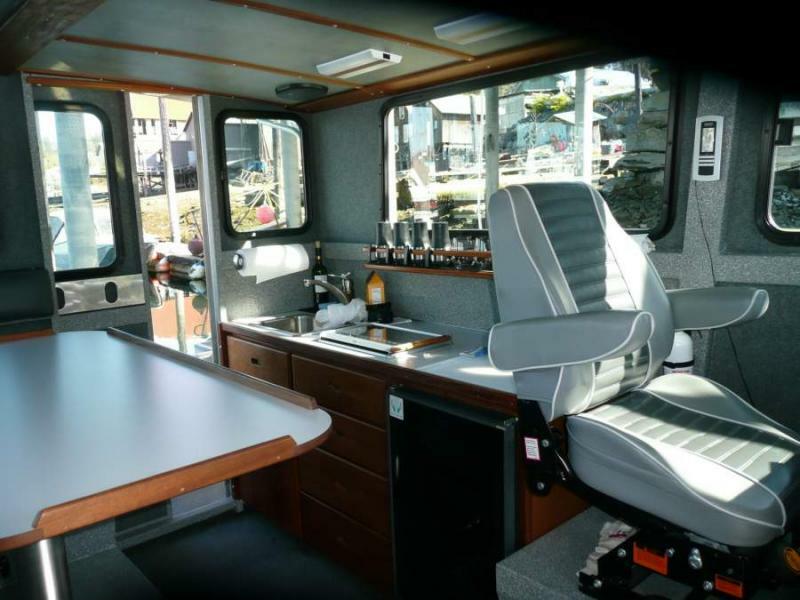 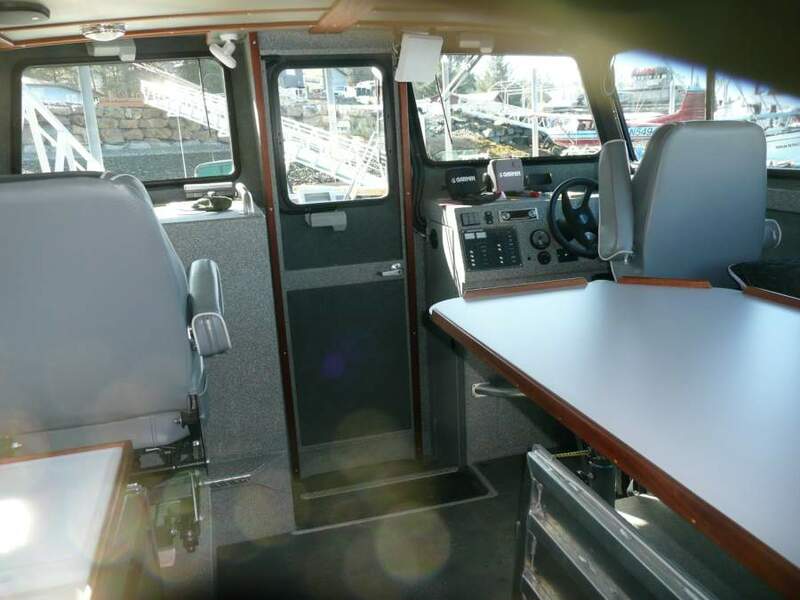 Deluxe, custom-finished, gunwale-to-gunwale, open-concept, walk-though 12' x 9'﻿ cabin with rear door and front-door access to decks, custom mahogany galley cabinetry, all-around cushioned L-shaped seating with drop-down table for double sleeping berth, marine head, outdoor shower, plus lots of storage under the cabin floor, with hatches for easy access. 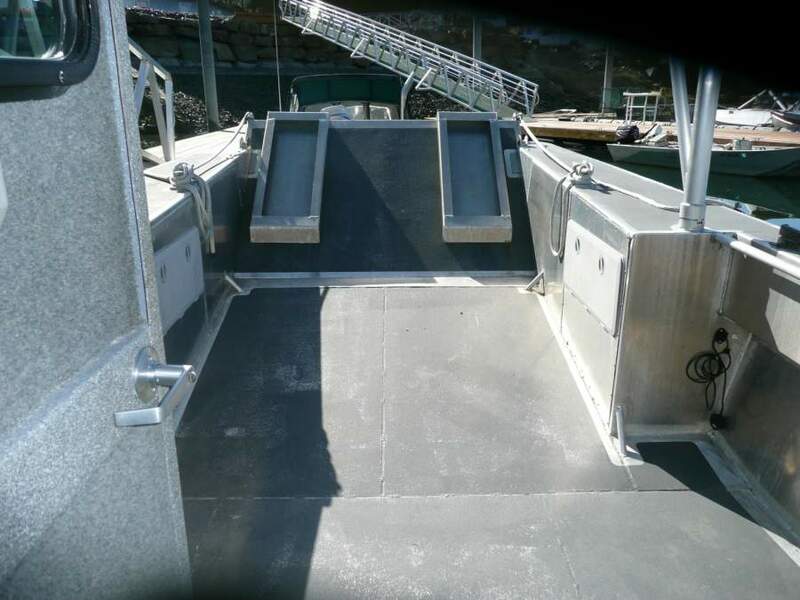 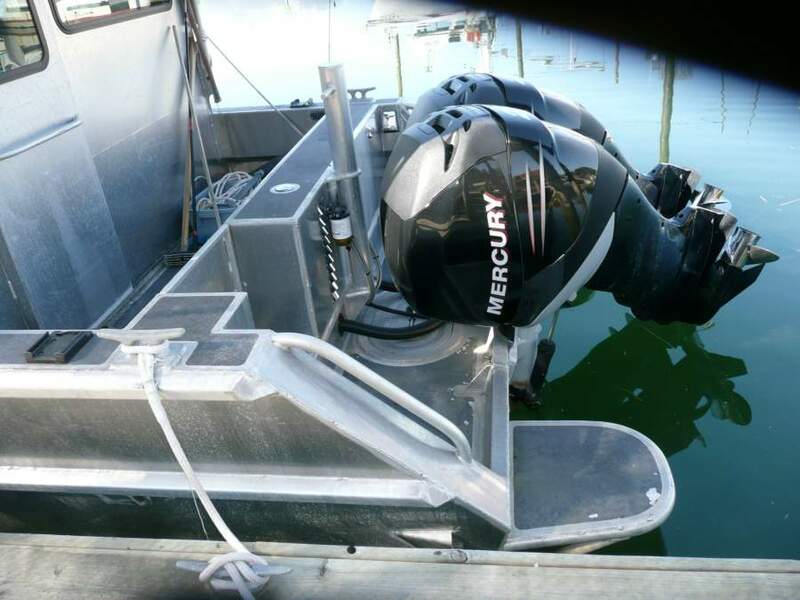 Bow door has removable extension for loading a side-by-side quad.